A Modern Glass & Mirror Co. specializes in frameless shower enclosure installation in a wide variety of styles. Frosted glass enclosures have become the number one choice of spas, hotels, gyms, dorms, and hospitals with sturdy design and easy maintenance. They offer a minimalist and modern design element while keeping functionality top-of-mind. In commercial applications, they provide optimum durability as well as maximizing limited space, while the absence of metal tracks and frames help provide a more hygienic environment and virtually eliminates the risk of corrosion, rust or mold growth. A Modern Glass & Mirror Co. services local commercial businesses in Atlanta, Alpharetta, and Duluth and the surrounding areas. 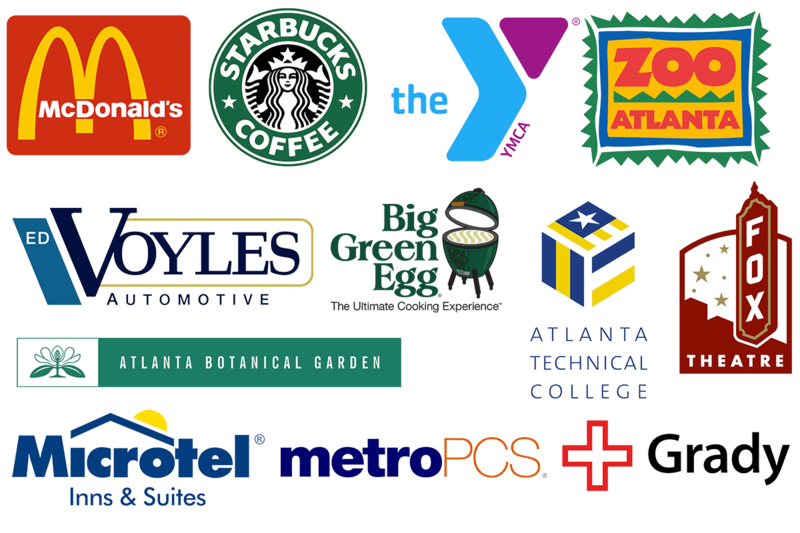 We've provided commercial glass services to household name companies as well as some of the biggest names in our home city of Atlanta.